LifeBridge Health offers a variety of computer classes to educate employees and the surrounding community about computer best practices. 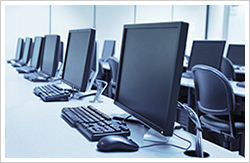 These classes include training for computer software and programming, as well as learning how to update content and images. These classes are often instructed by members of the information services or web marketing team.